Subject: Aqqad, Abbas Mahmud, 1889-1964. Subject: Uthman ibn Affan, Caliph, -656. Subject: Jesus Christ -- Islamic interpretations. Title is currently out-of-stock. 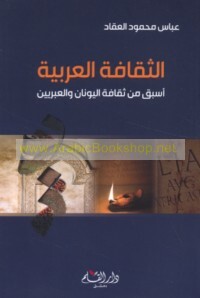 Subject: Arabic literature -- 20th century -- History and criticism. Title is currently out-of-stock. Subject: Arabic essays.